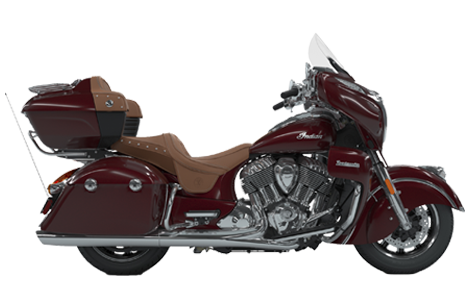 MY18 Indian Roadmaster Clearance Was $40,995 Now $37,995 Save $3,000! Limited Stock Remaining. Not to be used in conjuction with Big Bore offer. MY18 Includes 116ci Big Bore + Stage 1 Kit worth $7,600! Conditions Apply. 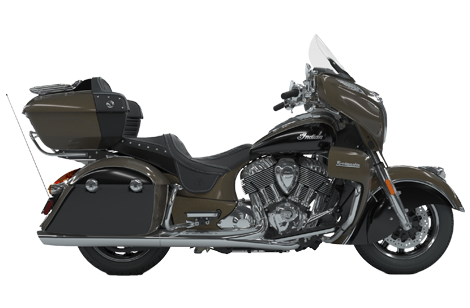 ABS; Cast Aluminum Frame with Integrated Air-Box; Cruise Control; Highway Bar; Keyless Ignition; Horizon Power Shield; Genuine Leather Seats; Remote Locking Hard Saddle Bags; Remote Locking Trunk; Tire Pressure Monitoring; 200 Watt Stero with AM/FM, Bluetooth, USB, Smartphone Compatible Input, and Weatherband; Heated Rider & Passenger Seats; Heated Grips; Adjustable Passenger Floorboards; 137 litres of Storage. 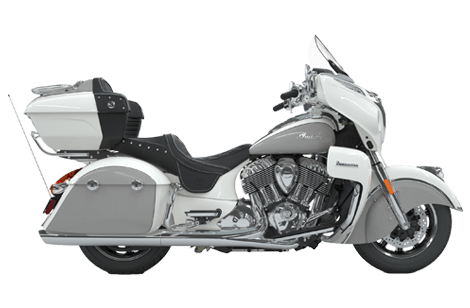 Pearl White over Star Silver Two-Tone, Polished Bronze over Thunder Black Two-Tone - $38,995.00 Ride Away OR $41,995 with Big Bore + Stage 1 Kit (Value $7,600). *Finance from BMW Financial Services (a division of BMW Australia Finance Ltd, Australian credit licence 392387) on a consumer loan at 7.29% pa. On a ride away price of $37,995.00 and no optional extras with 60 monthly repayments of $769.74 and a final payment of $769.74. Total amount payable is $46,184.40. No other offers apply. Fleet, government & rental buyers excluded. Fees, charges, terms, conditions & approval criteria apply. Offer applies at Brisans Motorcycles while stocks last on new motorcycles. Offer valid as of 20/04/2019. ^Comparison rate based on monthly repayments for a 5 year secured consumer loan of $30,000. WARNING: This comparison rate is true only for the example given & may not include all fees & charges. Different terms, fees or other loan amounts might result in a different comparison rate. Enquire now with one of our business managers for further details on 02 4940 8777.